In the year that marks the 50th anniversary of James Bond, the world’s first male fragrance dedicated to the legendary British spy is born: 007. For half a century, James Bond has captured the collective imagination of the world with his masculinity, charm, and elegance. He is the quintessential icon with whom men everywhere identify. He is celebrated and renowned across the world; an untouchable fantasy – as revered by men as he is desired by women. In 007 Fragrance, these characteristics collide in the most dangerous of ways, culminating in a robust signature scent which embodies the duality of Bond; an opulent blend of sophistication and masculinity. En dag hos konstnären Ernst Billgren för James Bond 007 Museum och Gunnar Bond James Schäfer. Bond Fact: The golden ability to get to the point! How many brides have James Bond pulled over? 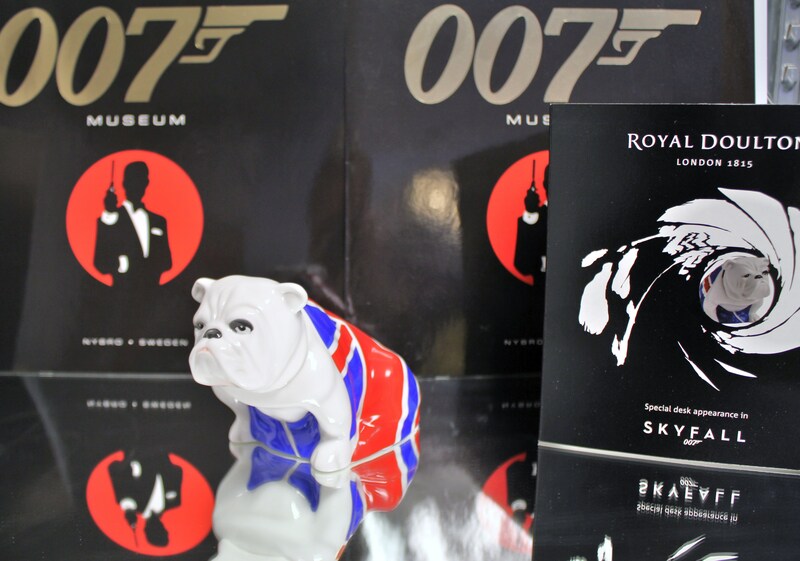 James Bond museum owner Gunnar Bond James Schäfer have found some facts about Bond babes. There are 67 Bond girls of all 23 films, of which 37 brunettes, blondes 27 and 4 redheads, 16 times, you can hear the famous ”Oh James” In all the films, James Bond has six 87 times the majority of the hotel rooms and underwater, but also a couple of times on the train and a few odd places He ordered vodka martini 27 times. The latest Bond film, Skyfall, hailed by many, and some even called the film the best Bond movie ever. But that, almost all the other films, there’s a lot of logic misses and oddities which people from Cinema Sins has compiled in this clip. James Bond movies? Bodycount, Died in each film?